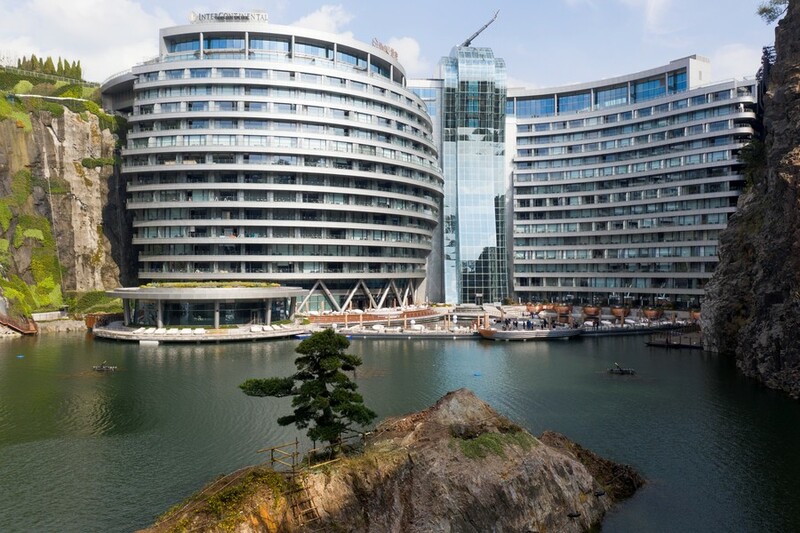 After about 12 years of construction, the world’s deepest hotel, Intercontinental Shanghai Wonderland, was officially opened in Shanghai on Thursday, November 15, 2018. 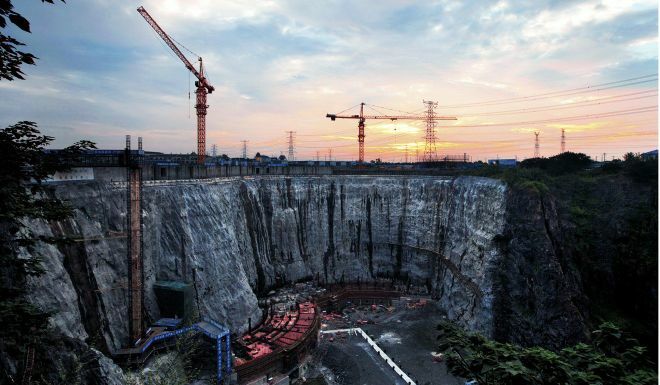 The 88-meter deep hotel is the first hotel in history to be built in an abandoned, water-filled quarry, with only two of its 18 floors aboveground. 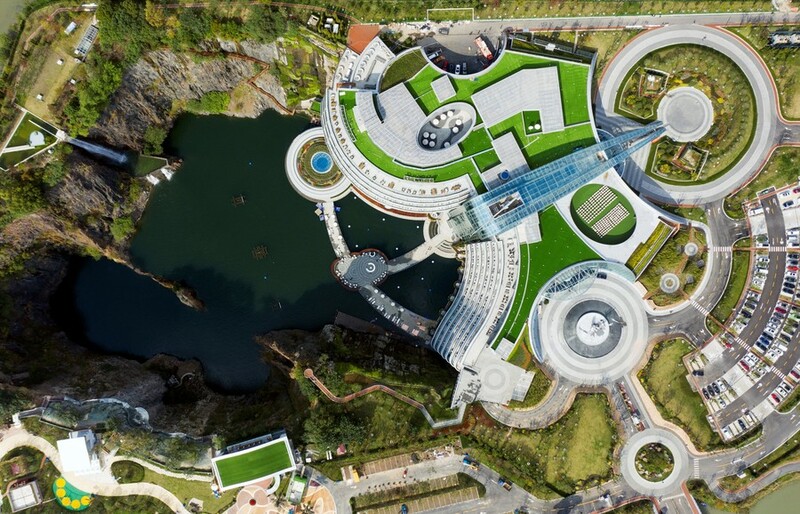 The luxurious, Intercontinental Shanghai Wonderland Hotel, also known as Shimao Quarry Hotel, has cost 2 billion yuan ($287.9 million) to complete. The hotel is 30km away from Hongqiao Airport, and has 336 cliff-view rooms with prices ranging from $490 to $550 per night. “Intercontinental Shanghai Wonderland is located at Sheshan Mountain Range and features quiet luxury, exotic flora and fauna, world class cuisine and warm smiles to make your next holiday or conference visit to Sheshan a welcome escape,” as stated on the hotel’s official site. Hotel visitors will enjoy the natural surroundings, along with an amusement park, restaurants and recreation facilities, including rock climbing and bungee jumping. Since the lowest grounds are submerged by a water lake, visitors will also enjoy water sports and adventure activities. The company is planning to build a shopping center next year. “It used to be an abandoned quarry, and now we have turned it into a treasure." The construction of this unusual hotel started in August 2009, after being discovered in 2006, Shimao Group chairman, Xu Rongmao said. He described what he saw as a “wound of nature that was inconsistent with the green hills and blue water of Sheshan”, which inspired him to build an underground hotel. “It’s the first time to turn an abandoned quarry into a wonderful hotel beneath the ground,” British architect Martin Jochman who designed the hotel said. While working on the project, design and construction teams faced a lot of technical problems, which resulted in very slow progress, as the foundations took two years to complete. Regardless of all the difficulties, the results were delightful and pleasant. “It is something that defies our existing knowledge about construction,” Chen Shaowei, assistant president of the group’s Jiangsu and Shanghai branch said, adding that construction teams were able to solve over 60 technical issues. “In terms of safety precautions, the hotel’s owners claim it is able to withstand a magnitude 9 earthquake, and said the design incorporates two fireman lifts, and six pumping machines should the huge pit flood during Shanghai’s notoriously wet rainy season,” he added. Shanghai is the home of the world’s second-tallest building, the 632m high Shanghai Tower, built in 2016. Today Shanghai also claims the first place for the world's deepest hotel.